North Korean leader Kim Jong-un has reaffirmed his commitment to the denuclearization of the Korean Peninsula and vowed efforts to produce good results from his second summit with US President Donald Trump, Chinese media reports said Thursday. Kim made the promise during his summit with Chinese President Xi Jinping in Beijing on Tuesday, according to Xinhua News Agency. 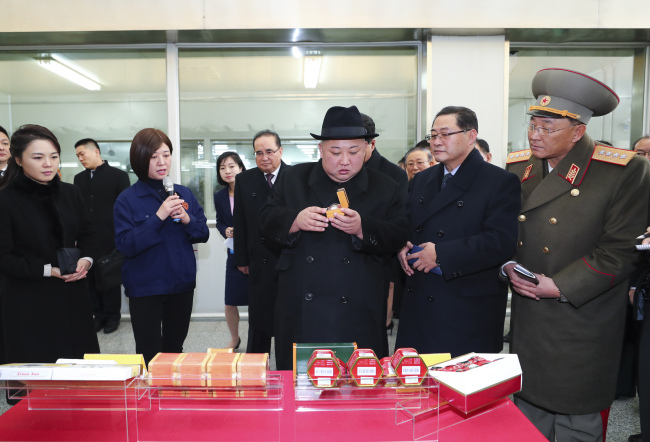 Kim was in China for a four-day trip, marking his fourth visit to the neighboring ally in about 10 months. "China hopes that the DPRK and the United States will meet each other halfway," he was quoted as saying. "China stands ready to work with the DPRK and relevant parties to play a positive and constructive role in maintaining peace and stability and realizing denuclearization on the peninsula and lasting peace and stability in the region." 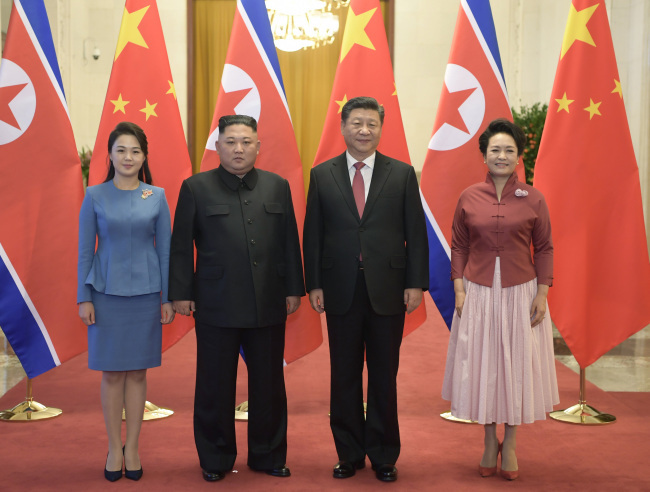 Kim's trip to China, which was made at the invitation of Beijing, came amid speculation that a second summit between the North's leader and US President Donald Trump is imminent. Pyongyang and Washington have been locked in a stalemate over how to carry out the agreements they reached in their first-ever summit in June, at which Kim promised to work toward complete denuclearization in exchange for security guarantees from the US. Progress has been slow ever since as the North wants sanctions relief, while the US remains firm that sanctions will remain in place until the North completely gives up its nuclear weapons program. In his New Year's Day speech, Kim warned that he could go a new way if the United States clings to pressure and sanctions on the North's regime. But he kept the door open for talks with the US, saying he is willing to meet Trump at any time. Trump earlier said that the US and North Korea are in talks over where to hold their second summit and a decision on the venue will be announced in the "not-too-distant future." During his trip to Beijing, Xi hosted a dinner reception for Kim on Tuesday night, the 35th birthday of the North Korean leader.